Gold Rush Resort Rentals Blog: What is a Pearl? What is a Pearl? Is it a piece of sand or an amazing gem? 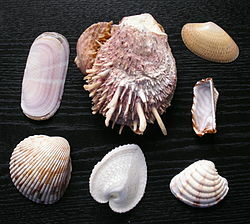 It doesn’t take a special shelled mollusk to make a pearl but it does it you want a pearl that is worth lots of money. But let’s not get ahead of ourselves. How is a pearl made you ask, well I am here to tell you. Well picture a shelled mollusk sitting at the bottom of the ocean minding its own business when the current picks it up and tousles it around a bit and drops it back down into the sand below. When the mollusk hits the sand a little piece finds its way inside. The mollusk forms a “pearl sac” around the irritation. This is there defense against the object that has entered there shell. The object that has entered the mollusk becomes the pearl. These pearls are common and aren’t worth anything. Have you heard of the Mother of Pearl? No it’s not the Mother of all pearls, but it is an amazing pearl that is worth a lot of money because of how beautiful it is. Why is the Mother of Pearl different from the rest you might wonder, well it actually starts just like regular pearls but this piece of sand took up shelter in an amazing mollusk. 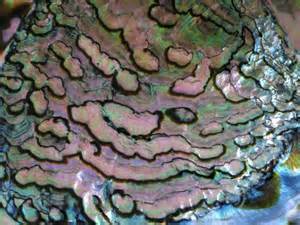 The inner shell of this mollusk actually produces a material called Nacre. This gives the pearl the beautiful iridescent color. This is what sets this pearl apart from the others. If you have never seen a mollusk with a pearl inside you are in luck. Here at Gold Rush Resort Rentals we have pearl gift sets. It comes with a whole oyster and a necklace. 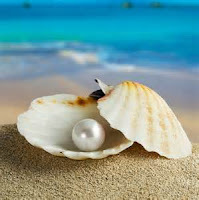 You will be able to open the oyster yourself and find the pearl inside. Once the pearl is cleaned you can put the pearl into the necklace and show it off. This gift set is an amazing gift for a loved one or yourself. With our pearl gift sets there are five different colored pearls that can be inside. Inside can be White (Wisdom), Cream (Success), Peach (Health), Purple (Wealth) and Black (love). So if you are in the area come by and get yourself a pearl.